Azizi Shaista ... delivery in Q2. Azizi Developments of the UAE says it has seven projects, worth a combined Dh1.8 billion ($489 million), at its Al Furjan community lined up for delivery ahead of schedule this year, mainly in the first and second quarters. 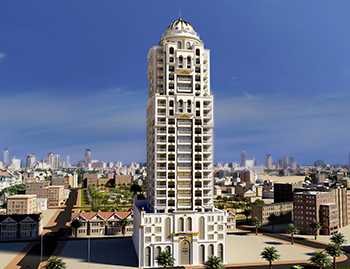 Construction of the seven projects is ongoing round the clock, with two of the projects – Roy Mediterranean and Montrell – scheduled to be delivered this month and the remaining – Plaza, Azizi Star, Samia, Farishta and Shaista – in the second quarter. The projects will add more than 2,000 quality homes to Al Furjan community comprising spacious studio, one- and two-bedroom apartments and commercial area, and featuring superior quality materials, sourced from Europe and renowned local UAE companies such as RAK Ceramics. “Since then, Al Furjan has emerged as a premier residential real estate destination in Dubai, offering a unique and comfortable community lifestyle to residents who would like to be located close to what is fast becoming a new hub in Dubai,” he states. 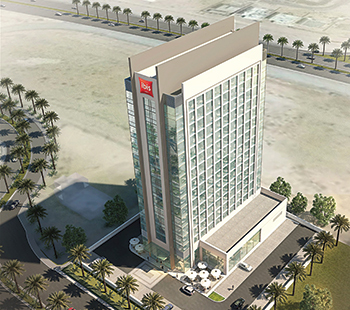 The 252-room ibis hotel ... to come up at Jumeirah Village Circle. Dubai-based master developer Nakheel and AccorHotels have signed a management agreement for ibis Dubai Jumeirah Village Circle in the UAE emirate. The agreement is the third collaboration between the two companies. A month ago, Raffles was announced as the brand for the luxury hotel and residences at Palm 360 on Palm Jumeirah. Nakheel’s 251-room hotel at Dragon Mart is also managed by AccorHotels, under the ibis Styles brand. Located inside the eastern edge of the sprawling Jumeirah Village Circle community, the 252-room ibis hotel will provide an economy hospitality offering, featuring an all-day restaurant with indoor and outdoor seating, café, fitness centre, meeting room and car park. The hotel will span 126,000 sq ft across 16 floors. It is expected to open in 2021. The JVC hotel is one of 17 projects in Nakheel’s Dh5-billion ($1.36 billion) hospitality expansion programme, under which some 6,000 new rooms and hotel apartments will be delivered across Dubai, with the rest at various stages of construction and development. Burj Sabah ... being developed by RSG Properties. RSG Properties says it has completed the foundation work on Burj Sabah, a premier residential building coming up at Jumeirah Village Circle (JVC) in Dubai, UAE. Combining aspects of both traditional and modern aesthetics in its architecture, the 19-storey Burj Sabah offers studio apartments, as well as one- and two-bedroom apartments. “Burj Sabah is as green and smart as it is comfortable. 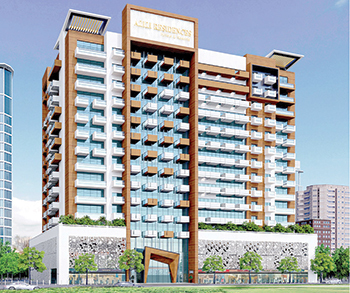 It is equipped with all the major facilities and will redefine premium suburban living,” says a spokesman for the developer. Pre-certified as a green building, it incorporates a number of ‘green’ elements in both design and construction, he adds. “Burj Sabah’s construction work has been spearheaded by Al Asri Engineering Consultant and Team Engineering Enterprises who are in sync with RSG’s vision of completing projects in a timely fashion,” the spokesman says. With the construction right on schedule, the project is on its way to a slated launch in February 2019. The raft foundation works kicked off on the Islamic New Year and was accomplished in just 24 hours. “It involved a great deal of raw materials, logistics and had a 150-strong workforce working through the entire night. Around 3,400 cu m of concrete and 640 tonnes of steel was used for the entire foundation work which was completed in a single go,” he states.